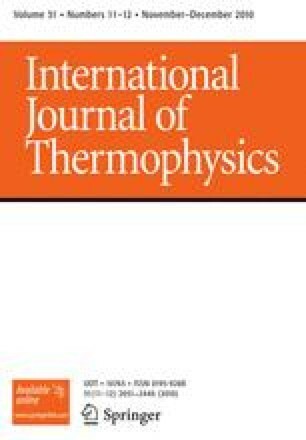 Thermoreflectance techniques are powerful tools for measuring thermophysical properties of thin film systems, such as thermal conductivity, Λ, of individual layers, or thermal boundary conductance across thin film interfaces (G). Thermoreflectance pump–probe experiments monitor the thermoreflectance change on the surface of a sample, which is related to the thermal properties in the sample of interest. Thermoreflectance setups have been designed with both continuous wave (cw) and pulsed laser systems. In cw systems, the phase of the heating event is monitored, and its response to the heating modulation frequency is related to the thermophysical properties; this technique is commonly termed a phase sensitive thermoreflectance (PSTR) technique. In pulsed laser systems, pump and probe pulses are temporally delayed relative to each other, and the decay in the thermoreflectance signal in response to the heating event is related to the thermophysical properties; this technique is commonly termed a transient thermoreflectance (TTR) technique. In this work, mathematical models are presented to be used with PSTR and TTR techniques to determine the Λ and G of thin films on substrate structures. The sensitivities of the models to various thermal and sample parameters are discussed, and the advantages and disadvantages of each technique are elucidated from the results of the model analyses.